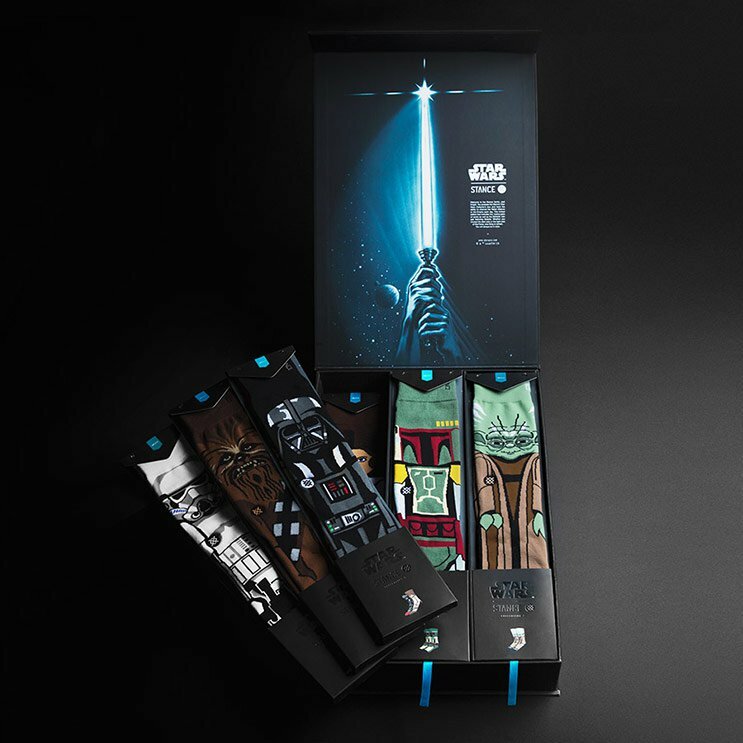 Stance recently released an entire collection of Star Wars-themed socks, including 12 different designs and 15 different characters (a few of the designs include pairs made up of two different characters’ socks, such as one Jabba and one Slave Leia sock, and the trooper set actually includes 3 socks of different trooper designs). These retail for $20 apiece, which I’ll have to say is WAY more than I normally pay for socks. But they do come in a nice cardboard hanger and seem to be of good quality. 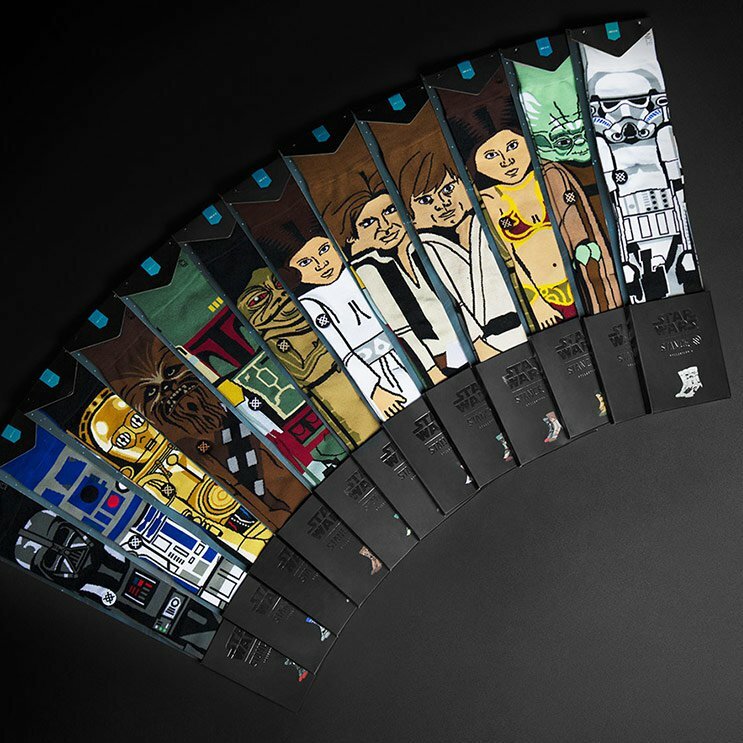 On the back of each hanger is a portion of a Star Wars poster, which you can assemble to make the entire thing if that’s the kind of thing you’re into. These are definitely nicer than the other Jabba socks I posted about recently. I like the design better and they are better constructed for sure. They even have Jabba’s tattoo symbol on their bottoms. When you’re wearing them, it looks kind of like Jabba is lying back on his tail. Stance was also selling a boxed set called the “Stance Force Box Set” that included all of 12 pairs of socks, plus a 13th pair that I can’t seem to find any info about. Anybody know what it was? The set is no longer listed on their site, either, but here are a couple of photos. It cost $260, which may well be more than I’ve spent on socks in my entire life.